realtyWW is an international real estate advertising website. 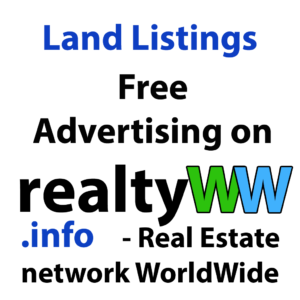 To advertise with land for sale or rent on our website please follow this page So, the piece of land has been prepared and it’s time to move on to sales stage. The most effective way of land sales is word of mouth and land listings. Why do people want to sell land without intermediaries? It is faster to sell the land independently.